Florence has been downgraded to a Category 1 hurricane with top sustained winds of 90 mph. The National Hurricane Center says Florence is now lashing the North Carolina coast with hurricane -force winds and a life-threatening storm surge. It says the threat of freshwater flooding will increase in coming hours and days from the storm’s heavy rains. 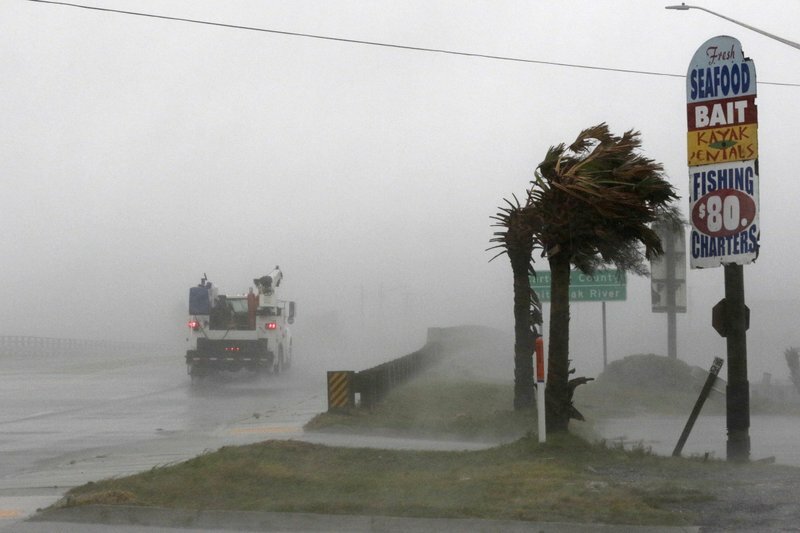 The Miami-based center said in an update at 11 p.m. EDT Thursday that the storm’s eye was about 50 miles south of Morehead, City, North Carolina. The core is also about 60 miles east-southeast of Wilmington, North Carolina. The storm is moving to the northwest at 6 mph. Forecasters say the center of Florence is expected to move inland between Friday and Saturday.